Philip graduated in law in 1988 and had his own legal consulting practice for 6 years representing various established corporations throughout South Africa. He still offers guidance to some of his long standing law clients. He also was the senior partner in a property/ tourism business for 8 years. 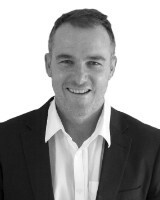 Having established a substantial network and invaluable database of clients Philip joined Seeff Properties in their Camps Bay offices gaining further valuable experience in property. In this time he successfully facilitated various property sales and his professional approach was most welcomed in the competitive upper end property market of Camps Bay/Clifton and surrounds. Having joined the RE/MAX Living brand in 2010 Philip has embraced the company business orientated approach and the freedom the RE/MAX brand offers him as an entrepreneur while providing him with access to an international network of offices and agents in over 70 countries.